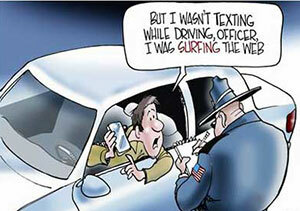 These days there are many distractions that can get a driver of a car, truck or whatever distracted. Everything from messing around with your stereo to checking Facebook on a Smartphone can cause a driver to take his or her eyes off of the road while driving which in many cases can lead to an unexpected accident. Another thing that can cause a driver not to have their eyes on the road is tired and sleepy driver. Many people drive when they are very sleepy and have a hard time keeping their eyes open and paying attention to the road ahead of them. Well there is a new Australian company called Seeing Machines that has developed a new technology that will help distracted and sleepy drivers keep their eyes where they should be, on the road ahead of them. Seeing Machines of Australia has developed a driver sensing system with an infrared camera mounted to the vehicles dashboard that works with software running in the car to evaluate whether or not the driver of that vehicle has their eyes on the road ahead. This sensing system evaluates the drivers head position, their eyes blink rate and even their facial expression. 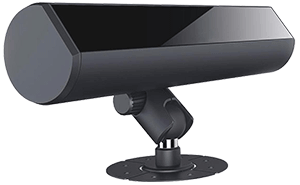 The infrared camera captures all of this information and sends it to the onboard software that analyzes the information sent to it and determines the level of the drivers alertness. If the system senses you are not paying proper attention to the road ahead it will signal an alert for you to put your eyes back on the road or to pull the vehicle over. The system is already in use in industrial trucks and in those systems the alert is accompanied with a seat-based buzz, just in case you didn’t hear the alert. The Seeing Machines sensing system was demonstrated successfully on a Jaguar F-Type automobile at the CES 2015 (Consumer Electronics Show). Seeing Machines is currently in discussions with automobile manufacturers to see about having it included in their cars safety systems. The system is an option on small but growing number of vehicles right now but Seeing Machines wants to get their system into more vehicles as standard equipment. Now, I for one am not they type of driver that allows distractions to interfere with my driving. I don’t want to be one of those drivers that causes an accident where someone is injured or worse yet, killed because I was not keeping my eyes on the road ahead. I don’t think that this system would be needed for myself, but there are many drivers out there that will benefit greatly from this type of system. I see too many people on the roads that are texting while driving, checking Facebook, Twitter or some other social media website, turning around to scold their children or letting something else distract them from paying attention on to driving their vehicle. The Seeing Machines system would be great for these type of drivers to help them pay attention to where there attention should be, the road. Perhaps Seeing Machines can add a new feature to their system that gives the driver a dummy slap to the back of their head when they have to be alerted too many times! Next Post: Super Bowl or Bust!